Escape the mundane with a set of 15 acrylic checkers that manage to combine elegance with the cutting edge. 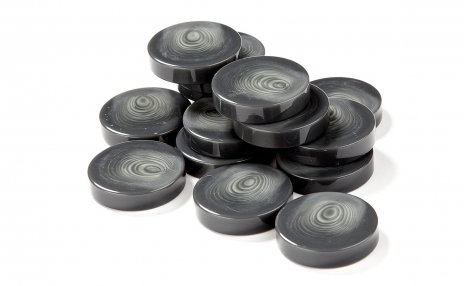 These checkers have the round, smooth feel of polished stones. Each piece sports its own unique swirl pattern on smoky grey checkers.